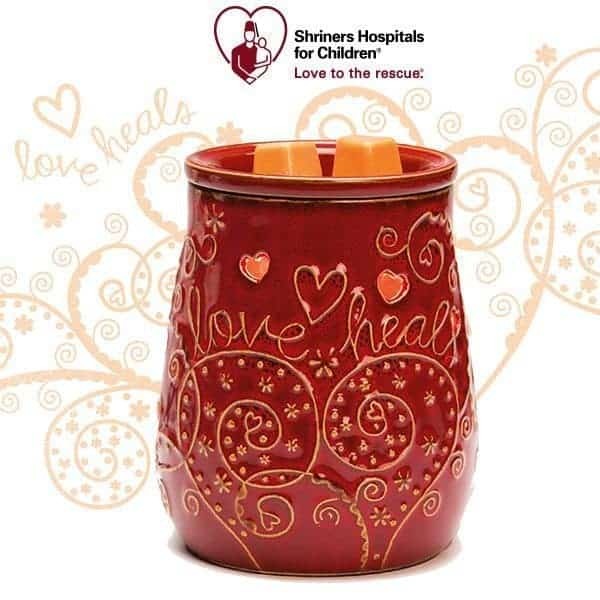 Shriners Hospitals for Children® has partnered with Scentsy, Inc., and the Scentsy Family Foundation to launch their newest Charitable Cause Warmer, Love Heals. For every Love Heals Warmer sold now throughFebruary 28, 2017, Scentsy will donate $8 to Shriners Hospitals in support of their mission to provide expert pediatric specialty care for children. Help us donate at least $500,000 (USD) to Shriners Hospitals for Children. For nearly 95 years, Shriners Hospitals for Children has provided life-changing care to more than 1.3 million children. All aspects of treatment are provided including surgery, rehabilitation and psychological support to children with orthopaedic conditions, burns, spinal cord injuries, and cleft lip and palate. All care is provided regardless of the families’ ability to pay. The Scentsy Love Heals Warmer was specially designed for Shriners Hospitals and uses the heat of a low-watt lightbulb to safely warm fragrant Scentsy wax without flame, smoke or soot. The Warmer is six inches tall and features heart cutouts and the phrase, Love Heals. The Love Heals Warmer retails for $35 and can be purchased from any Scentsy Consultant in the in the U.S. and Canada. To learn more , visit togetherloveheals.com. 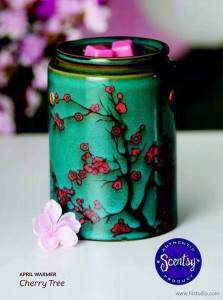 Scentsy, Inc., (www.scentsy.com) is a direct selling company offering stylish, innovative and customizable products that Warm the Heart, Enliven the Senses and Inspire the Soul. Scentsy features safe, fragrant alternatives to traditional wicked candles, on-the-go fragrances, laundry care, inventive cleaning solutions and luxurious personal care products for women, men and kids. Scentsy products are sold through a network of Independent Consultants running home-based businesses throughout North America, Europe, Australia and New Zealand.